Spreadsheet software such as Microsoft Excel or Apple Numbers. Google Maps website, found here. To create a spreadsheet for a purpose, adding text, numbers and suitable cell sizes. Use Google Maps to find locations and calculate distance between two locations. To use formula within a spreadsheet to find totals, averages and other information. In this first video, it demonstrates how to make and play a 2 player battleships game. You will need to have a partner who creates a spreadsheet the same as yours. ​ If you and your partner both have your battleships on the same cells then you will have to choose a different colour/text to show this. This activity demonstrates how to make a single or multi-player game to help learn times tables. 1. Highlight an area of pitch (about 3 columns by 10) and fill the cells in a colour. Then colour the cells at the bottom and top as the goals. 2. Add numbers in the times table you are learning to each of the cells on the pitch. This example uses the 4 times table and you can go up to 6x or 12x.For this example, it goes up to 6x4. Once you have added all the numbers, you can highlight all the cells and centre align plus add borders. 3. To play the game use a dice (either a real dice or you could use this website). If your times table only go up to 6 x (e,.g 4x6=24 in this example) then only roll the dice once. If you go up to 12x then roll it twice. - Start by selecting the goal cell at the bottom of the pitch. - Multiply your times table number by the number on the dice and if the answer is on the row above your cell you can move it it. If the answer is not in the row above, you roll again. - Once you reach the top row, keep rolling dice until you roll a 6 to score a goal. 4. To play the 2 player version, fill the goals two different colours and the objective is to take it in turns to get your colour to your opponents goal then roll a 6 to score a goal. Use the skills you have gained from the Battleships activity to create a table of different minibeasts, put the different habitats in the A column and the number of insects that live there in the B column (insects can be in more than one habitat. You will need access to this mini-beasts website. Then use the video below to create a chart of your table. What title could you give it? 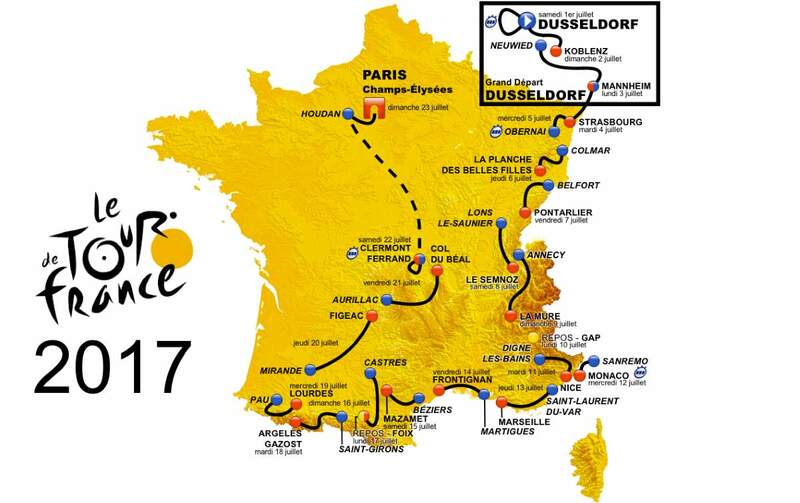 In this project, you are going to find the distances of the different stages in the Tour De France bike race. Use the video below and links above to help you. 1. Create the spreadsheet for you project. 4. Can you make a graph of the distances? Which type of chart would be best for this data?